A debit card could be the best option for you if you have issues with financial responsibility and controlling your spending and debt levels. However, while a debit card is a more responsible version of a credit card, it does not replace a credit card completely. For example, following are five things which a credit card can do which a debit card can’t. 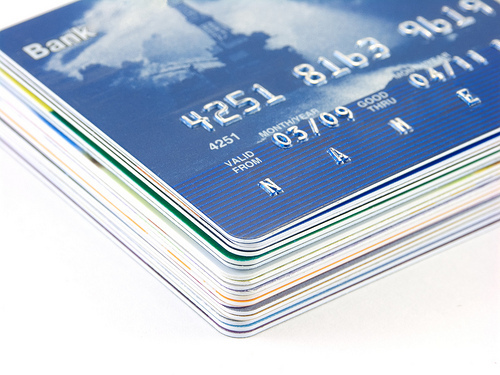 Even the most basic credit cards are likely to have a rewards program and even though most credit cards also have an annual fee, you can ensure your rewards outweigh the costs of using your credit card if you spend around $2,000 a month on your card which is not hard when you charge groceries and other bills and expenses. You can also often choose the rewards you want and you can choose a credit card which builds airline rewards points, gives you cashback when you spend, allows you to choose from a range of merchandise or rewards you with gift vouchers for your favourite stores. While many financial experts will tell you that there is really no such thing as a good credit history, successfully applying for a credit card and using it responsibly can go a certain distance towards showing that you have the ability to manage a credit card, make your repayments on time and stay below the limit. Unlike a debit card which accesses your own funds, when there are not enough funds available in an emergency, a credit card can step up and help you manage your cash flow. Using your credit card in an emergency requires that you are able to determine what qualifies as an emergency so that you do not find yourself making emergency shoe purchases or taking emergency holidays and instead use your credit available to cover true emergencies like your car breaking down or an unexpected doctor’s bill. While you may do everything right in protecting your credit card details and identity when you use your card, you may lose your wallet or be fooled by a skimming scam and have your credit card information used fraudulently. Unlike a debit card, when your credit card is used fraudulently you are not losing your own money, you are instead having the fraudster run up a credit card debt which you can explain to your credit card provider when you report your card missing or stolen or you notice the fraudulent transactions, and your own funds and savings are not affected. Most credit cards will offer you an interest-free period of around 55 days. This means that you can make purchases on your card and not be charged interest for up to 55 days if you have paid the balance to zero during the previous interest-free period. While you use your credit card provider’s money to do your groceries and pay your bills, your wages can stay safely in a high interest savings account, or in the offset account of your home loan, to earn you or save you interest. Then you simply take the amount you need before the end of the interest-free period and repay your purchases, keeping the interest earned or saved in your savings or offset account for yourself. While a credit card can get you into a lot of trouble if you don’t know how to use it properly and don’t have the discipline to pay your balance to zero each month, there are many important features a credit card has which can be an advantage over using a debit card. If you want to enjoy the advantages of a credit card without being tempted to rely on it, you can supplement the advantages with a debit card which in most cases can be linked free to your existing transaction account. This is a guest post from Alban. Alban is a personal finance writer. He helps people to compare and choose the best credit cards online. Research has shown that Americans tend to spend 12-18% more when using credit versus debit. This is one of the main reasons experts like Dave Ramsey are in favor of debit cards. While it used to be that you had to have a credit card to get great rewards, that is no longer the case. I work for PerkStreet Financial and we offer an online checking account with a debit card that gives you more rewards than most credit cards offer (and more rewards than any other debit card in the country). Plus, we don’t charge an annual fee which is one of the tricky things that banks and credit card companies do to make you feel like you’re getting more than you actually are. I agree with you over most of these advantages, but I really can’t stand the idea of using a credit card as an emergency fund. That’s an easy path toward debt. Everyone should have a real emergency fund of at least a few thousand dollars in an easily accessible savings or checking account. If you can go your whole life without being able to put aside a few thousand, how are you going to be able to gather the money to pay off the credit card debt later after your emergency? Back in those days where you could get no-fee 0% APR balance transfers from credit card issuers and put the money in savings accounts to earn interest, I did get easy money like this a lot and used the borrowed free money to pay off my car loan. There are still quite a lot of 12- or 15-month balance transfer offers from credit cards these days with 3% fee. That’s still better than the interest rate of a bank loan or Lending Club loan. Of course, the ultimate responsibilities of using and managing credit cards are on the card holders. For a responsible person, I can’t see why he/she can use credit cards to get emergency fund. I don’t know what credit cards you all have, but none of the ones I have charge an annual fee. There are plenty of free ones. There are several cards that offer 5% back on certain purchases. Does Perkstreet do that? Also I can go months or years without using a card and no harm done…go one month without using perkstreet and you get charged a 4.50 inactivity fee. I think perkstreet is a great model for those not responsible enough to use credit cards, but for the responsible user I fail to see how it beats a credit card. At this time, we do not offer 5% cash back on purchases but we’re looking for ways to give our customers even more rewards so that could change. I hope that helps. Let me know if you have any other questions here or send me an email at laurie@perkstreet.com. I can see debit cards are getting attractive and becoming popular. But I would still choose credit cards over debit cards if it is only because I don’t have to pay the money back right away when making purchases with credit cards.